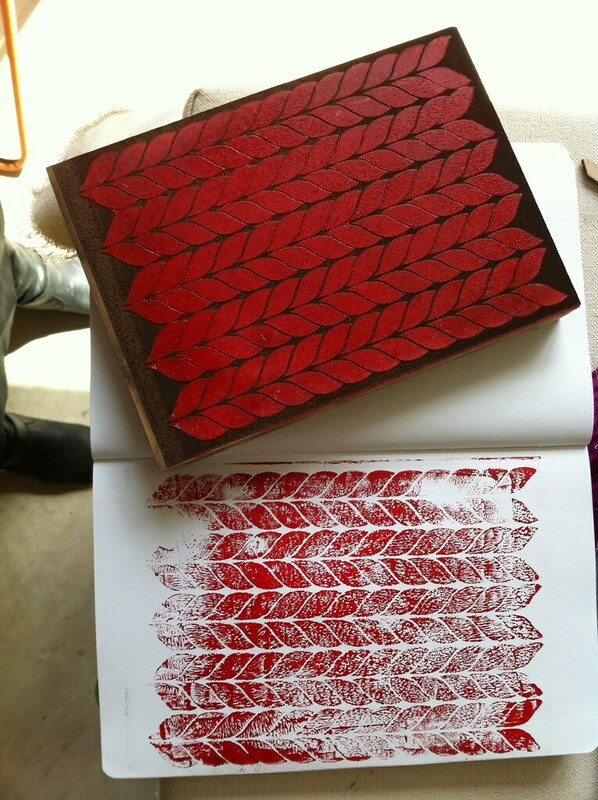 My first attempt at making a laser etched linoleum block. I used our repeat knit pattern design (which is available as a free download on our site) from the Wool Recycling Machine Poster and did a test run. It could use a few more passes to make the negative space deeper but all in all a fun way to make a print block. Perhaps it’s just the nerdy, fiber artist in me who finds a knit pattern printed on a woven fabric funny. Tagged block print, etch, knit, laser, Print, vector. Bookmark the permalink.